I had just come home from school and was about to start my homework when one of my sisters, Molly, burst into my bedroom. “Carol! You’re famous!” She exclaimed. “Hello Molly! What are you talking about?” I asked with a smile. “Your book! The one that you entered in the school’s statewide book competition! All the kids in school are talking about how you made first place. Can I read it? PLEASE?!?! !” She gushed and pleaded. “Here.” I handed the notebook to my eager sister. “See ya, Sis! I just bet you’re going to be an authoress someday!” She called as she left. As I watched her go, I whispered aloud to myself wistfully. “I hope so Molly. I really do…..”. At that moment I felt a window of my heart opening to a new world…the world of writing…..
P.S. Speaking of writing, I’ve deleted Girl Journalism and started My Forgotten Library. I had decided that I really wanted a blog where I could focus on just writing. Around seven of you have already followed, so thank you guys SO much for that! Y’all are amazing!! :D I would really appreciate it if the rest of you guys would drop by. 🙂 Thanks! 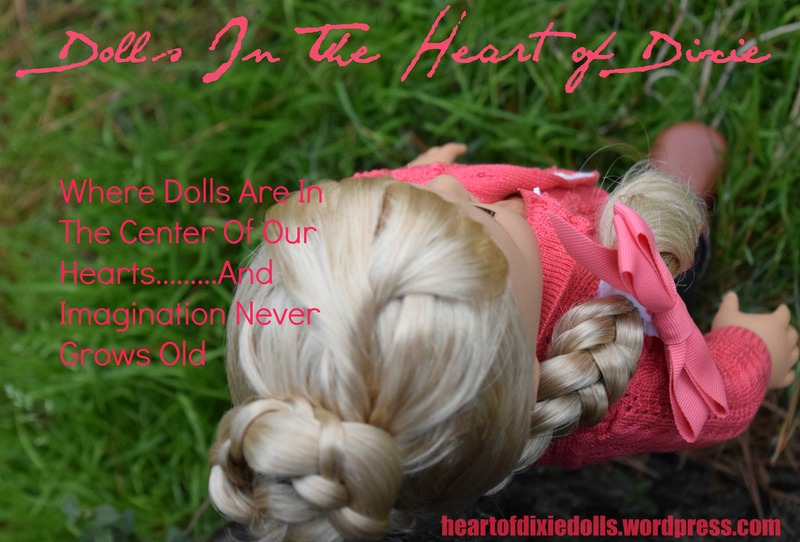 Previous Post Introducing…”Caption That Doll Picture”! I keep meaning to comment on one of your blog posts … and I keep forgetting! Life can be crazy and if my email-deleting-habit takes control of me and I delete the email I get saying the “Lainey made a new post” … I completely forget! 🙂 Sounds like an interesting photo-story! It sounds like Caroline is going to have an interesting new life! Also, would you like to do a button swap? I’ve actually gotten my book, “lucky” published! It feels awesome! I’m excited to read http://www.myforgottenlibrary.wordpress.com ! Would You Like To Visit My Writing Blog? Click Here!